Another claim to fame is a gas light that never goes out – powered originally, according to legend, by sewer gas. 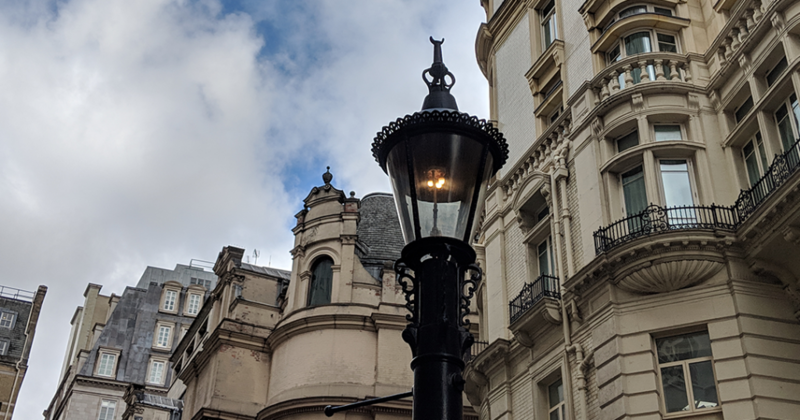 Gas from burning coal was used from the late 18th century to power street lights, but the first street to be lit by gas in London was Pall Mall in 1807. Theatres were lit from around 1817 onwards. The Gas Light and Coke Company, founded in 1812, was the largest to supply gas for street lighting. By 1819 it had laid 290 miles of pipes and supplied over 50,000 gas burners and lights. The Strand was one of the main streets lit by gas.